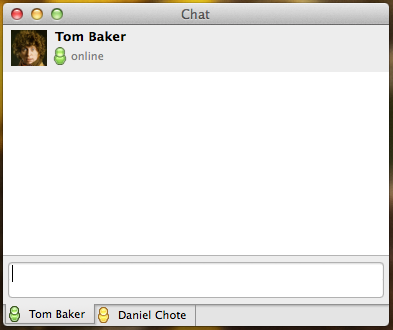 Chat window logic complete… Next up chat protocol implementation! Adium style tearable/dockable tabs are functional. KVO updating of tab objects complete, and looking mighty fine.